Visit DC Universe at New York Comic-Con 2018! It's New York Comic-Con time! Yes, the East Coast's biggest comic book convention is upon us once more. If you're at this week's event in Manhattan's Javits Center, be sure to swing by the DC booth (#SC01) and say hi to your pals from DC Universe. In addition to all of DC's giveaways, we have free gift bags featuring special items available to subscribing members. 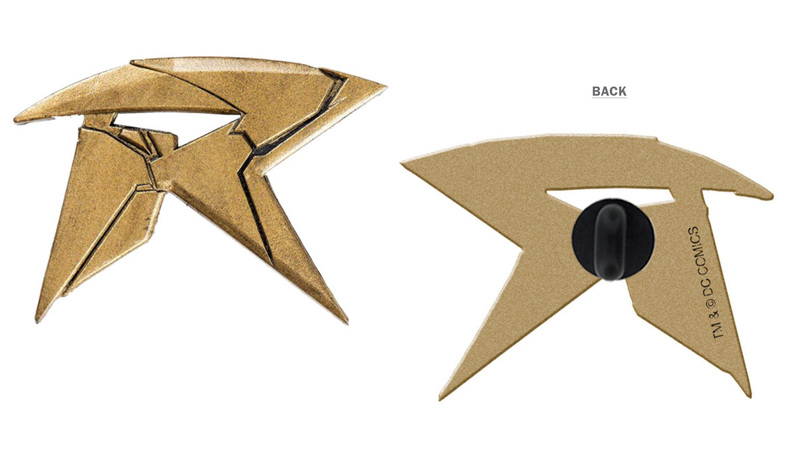 including an exclusive foil reprint of 1980's The New Teen Titans #1 and an exclusive Robin "R" pin (pictured below). Not yet a member? Now's the best time to sign up! 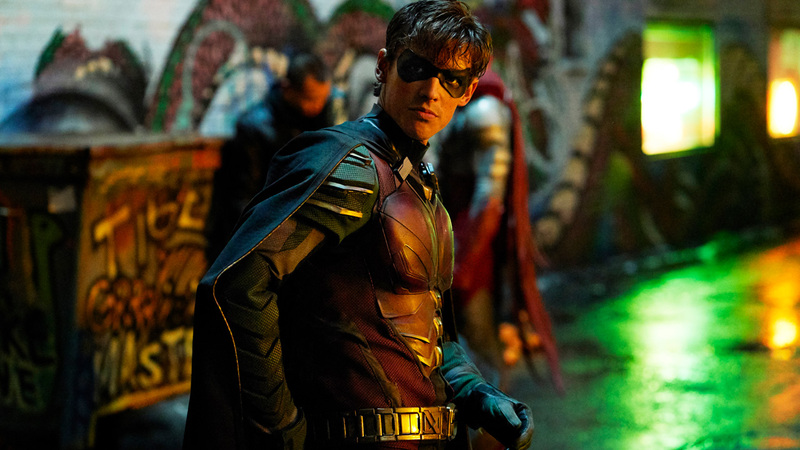 Tonight, New York Comic-Con hosts the world premiere of our first original series, Titans, at the Hammerstein Ballroom, followed by a Q&A session with the series' stars and executive producers. The show will make its DC Universe debut on October 12th. Also, be sure to check out Thursday's DC Universe panel from 5:15 to 6:15 PM EST in Room 1A24 of the convention center. We'll have the latest on our original live-action and animated series like Titans and Young Justice: Outsiders, as well as info on DC Universe's classic series, movies, and comics. Superstar creators like Jim Lee and Titans producer Geoff Johns will be on hand, so you know you can expect the unexpected. Finally, on Friday, stop by the NYCC Live Stage -- Booth 174 -- to watch a live interview from 11:15 to 11:30 AM with the cast of Titans: Brenton Thwaites (Robin), Teagan Croft (Raven), Minka Kelly (Dove), Anna Diop (Starfire), Alan Ritchson (Hawk), and Ryan Potter (Beast Boy). Later in the day, from 1:15 to 2 PM, the cast will sign autographs at the DC booth. 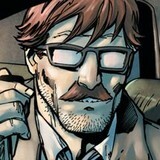 For more info, visit the New York Comic-Con website. See you at the con!